What's the time? It's time for a change! 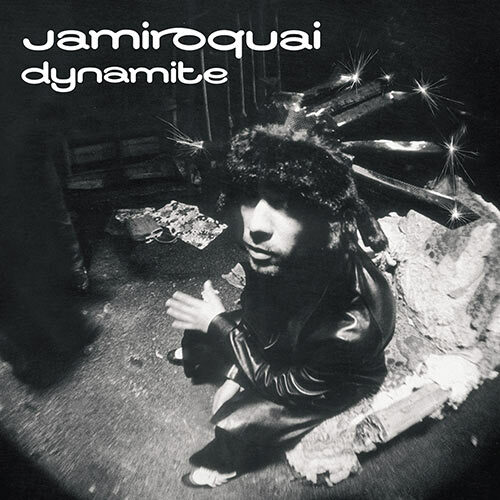 Most global superstar bands wouldn't dare change anything when they're riding the crest of a wave, but in 2005 Jamiroquai knew that there was no other time like now. Dynamite became their most eclectic record to date. Sounds of the funky variety, (no brainer!) were in abundance, but also woven in were shapes of electronica, house, disco and even a lo-fi acoustic style track. Classic hit singles continued with 'Seven Days in Sunny June' keeping our toes tapping and 'Feels Just Like It Should' dancing all the way to the very tippy top of the US Billboard Dance Chart. Pure brilliance, once again.